Inspired by the community’s need for a quality and affordable health and fitness center, Kurt Billups, licensed and certified medical exercise therapist, cardio vascular instructor and personal training instructor, opened YEP!Fitness. YEP!, an acronym for “Your Exercise Platform,” opened in August 2012 on Reading Road in Roselawn in hopes of offering the Cincinnati community an organic approach to fitness. 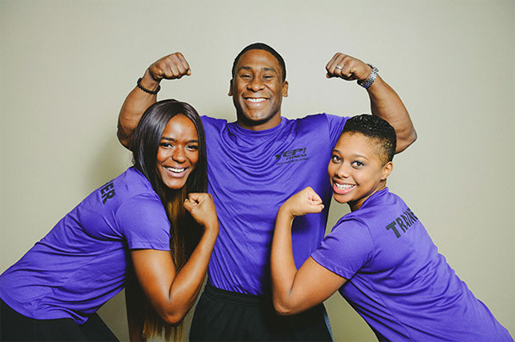 YEP!Fitness, according to Billups, is on its way to becoming the premiere health and fitness center in the city of Cincinnati by offering their members services aimed to maximize the value of their membership. “We do this by a principled approach to business and willingness to provide a service to all of our members that is unlike any other health club in the industry,” Billups explains. According to Billups, in six months they have signed up more than 1,000 members and have documented more than 500 pounds of combined weight loss in the facility. More specifically, Billups says, members have expressed great appreciation of YEP!Fitness’ hands-on approach to business, the convenience YEP! offers and the amount of trained professionals that YEP! has available. Along with YEP!Fitness’s blog, www.YEPFitness.blogspot.com, their eBook, “A Starters Guide to Fitness – 7 Helpful Tips to Getting the Most Out of Your Weight Loss Journey” and being a apart of the Sisters of the Heart Healthy Heart Expo later this month, Billups says he has high hopes for the future of YEP!. “We have plans to open at least one more facility this year in the Forest Park area and 15 health clubs by 2018,” he says. Visit YEP!Fitness’ Facebook page or call them at (513) 761-9371 to learn more.